Sold by Terri and Paul Guess... another Seller delighted with Excellence! Wow... what a beauty. 2 Acres... of quiet and seclusion in wonderful Brook Hills Estates. 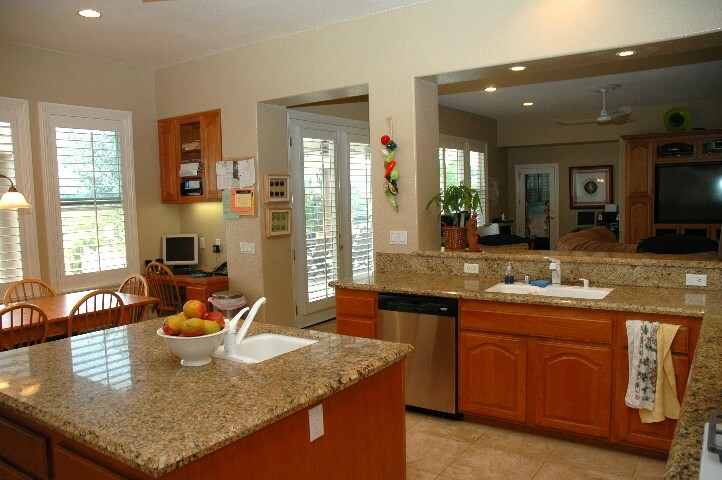 A Huge "Family" or "Extended Family" panoramic view estate with every imaginable amenity. Six Full Bedrooms... plus an attached office/granny suite/maids quarters... 5.5 baths... four full garages plus a two car carport... your own par three backyard golf... Community Tennis... and all hidden below the quiet cul-de-sac... at the end of a beautiful gated drive... in Beautiful Brook Hills. Truly one of the Best Locations in the World for quality of life... this community and home represents one of the finest values in Southern California Real Estate. This Micro Climate ... Known for its Weather ...has got to be experienced to be appreciated. All of San Diego County has good weather... this is the best. 85% Controlled by Marine Influence... only 15% by Interior Land Mass... you will experience living here and using your Air Conditioning maybe once a year or less. 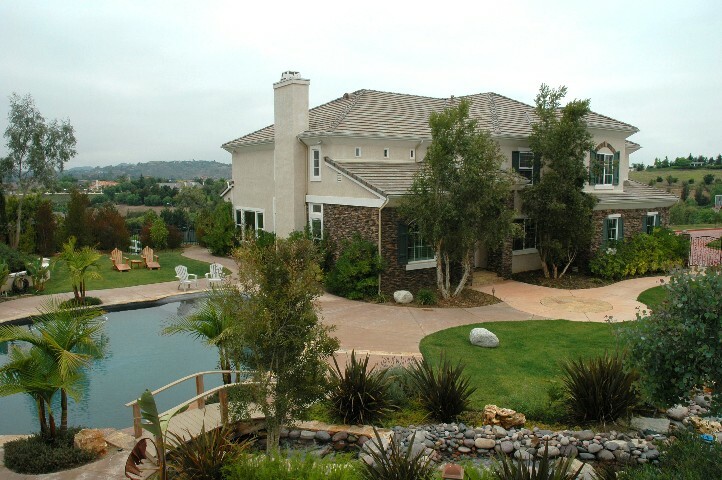 Unlike many of the rural communities in North San Diego County... Brook Hills has Natural Gas and Public Sewers. 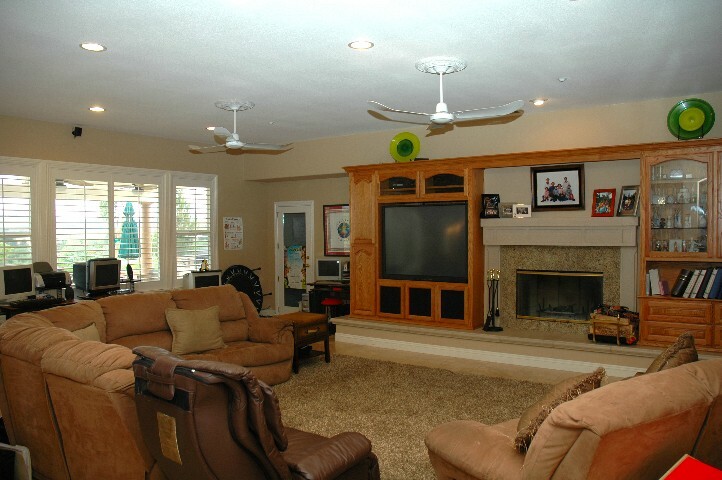 Forced Air Heat... Zoned areas for both heat and cooling... ceiling fans throughout the home... Wide French Doors for outside access... You'll probably live outside more than in. Whether you like to entertain casually or formally... this is the home for entertaining. 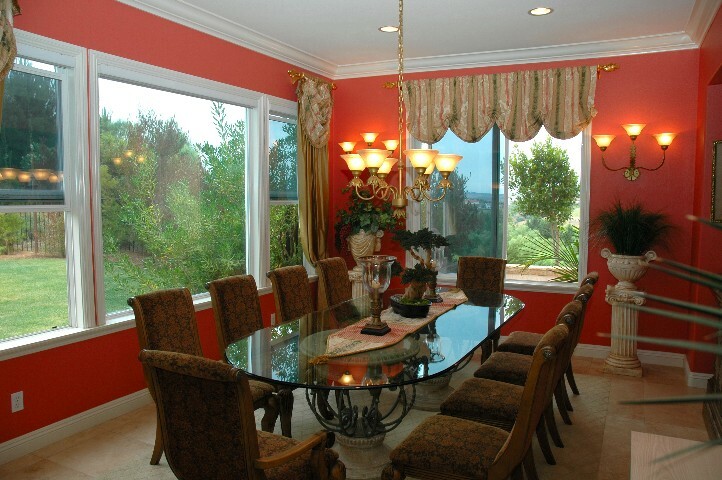 Weekly or Annually this is a formal dining room that will handle the party. Elegant Crown molding... rich textures... warm lighting... Designer Ceramic Tile flooring... beautiful thermopane windows... with a private view into the garden and beyond to the panorama. And... it is Huge... the third room we've used that word for. 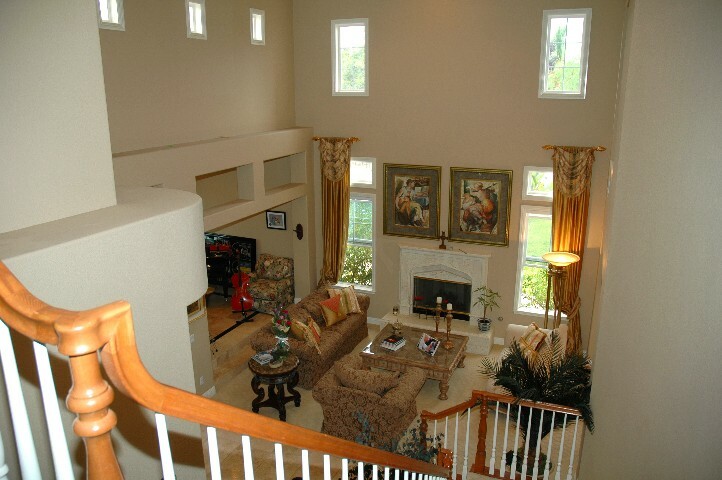 The photo on the right above ... taken from the second floor overlook... captures the drama and elegance of the formal living room. On additional pages of this web site will be more photos of the formal space... but what we wanted to capture here is one of the most unique aspects of this home. While huge... gigantic... spacious... enormous... large... and open.... it combines elegance and warm charm. It is not pretentious... it is not cold... it is not "un-lived-in". This is a home used to "Home Schools" 7 lucky children... and two proud parents. It exudes love... charm... character... personality... excellent taste... and it... in spite of its size is cozy and almost "Quaint"... exhibiting values too often missing in today's world.